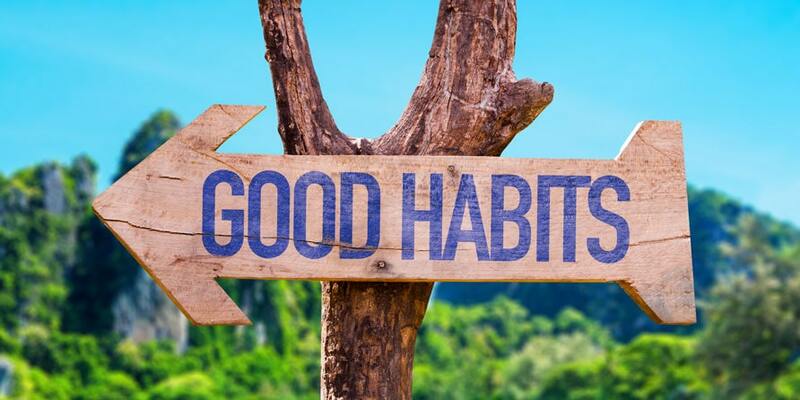 Good habits for college students have proved to be an integral part of an excellent performance over the years, and thus it is extremely important to learn and apply them persistently. Study smart if you want to be ahead of others in your college. And make your learning process exciting! Where do you prefer to study: in the coffee shop, in the college library or at home? Which one suits you the most? In any case, be sure to choose the right place. It is essential to figure out at the very beginning where you feel less distracted but more focused and engaged. Finding out what location works best for you is one of the key elements on the road toward successful results. In case you find the ideal place, make sure your work space is 100 percent comfortable. It takes some time, but you will figure out eventually what methods work best for you. First, find the most productive time for you. It could maximize your productivity immensely. Then ask yourself whether you prefer to study alone or with other people from your college. If studying in groups distracts you, keeps you unfocused or causes anxiety, opt for a solo option. Set your own schedule when possible. Although, be sure to maintain a well-balanced percentage of both activities, no matter what. It is crucial to cut down any kinds of distractions. Put away a phone while studying, or even turn it off. It has been repeatedly proved that calls, messages, social media notifications heavily reduce college students’ concentration. Save your energy for important things, don’t let yourself be distracted easily on a daily basis. Of course, sometimes it is not possible to escape from all distractions. And in case it has already happened to you, but you still want to meet a deadline, benefit from iCheapEssay.com. Also, be careful when listening to a study playlist, choose what music to listen thoughtfully. The best study music playlist should include a variety of classical pieces. That is why we suggest you add some classical compositions to your playlist right away. According to many studies, rhythmic melodies playing even in the background can have damaging effects in terms of focus, attention, and possibility to immerse oneself completely into the work at hand. Maintaining a routine is highly important for a college student. We recommend you to wake up at the same time every day, study at the same place, and so on. First and foremost, an active application of this approach boosts students’ productivity. In addition, it helps to avert procrastination as well. Did you know that constant changes may impede efficiency? That being said, building daily routine habits is necessary to become a successful student. However, at times new stimuli may have positive consequences too. So, try to keep the right balance in everything, and you will ultimately succeed. Do you know how other college students manage to study smarter instead of longer? They simply study in blocks. For example, after 40-minute sessions, they take 15-minute breaks. This time may vary, it depends on your personal preferences. You may take a 30-minute session and a 10-minute break, it is up to your choice. Such a habit maintains students’ endurance. Practice it systematically, and great results would be imminent. Also, many studies showed that, for instance, 7 hours of learning crammed into one comprehensive block is worse than the same quantity of hours spread out over several weeks. Moreover, it is a less emotionally draining experience for any college student without exception. Well, let us continue to dive into the topic in question: How to be successful in college? And what habits may help to achieve this goal? We recommend that every college student use active learning more than a passive one as it is much more efficient. It implies that the learning process is not only about obtaining information but also about reviewing and consolidating it regularly. Besides, active learning techniques such as questions, flashcards, quizzes, and tests are great memory improvement tools. So, benefit from its advantages instead of rereading or rewatching the same material many times (those are passive learning methods!). If you want to study less, but at the same time more effectively, don’t hesitate to make this process as active and interactive as possible. Another useful habit is to write down your notes instead of typing them. Cut off a laptop, take a piece of paper with a pen, and start taking notes. On the one hand, writing improves college students’ memory. On the other hand, it presents a great opportunity to avoid a wide array of distractions online. Of course, good study habits can’t be complete without proper usage of memorization skills. As many of you know, summarizing information, restructuring it into smaller chunks, its analysis, further reviewing and repetition constitutes a core component for excellent memorization competencies. Take advantage of various mnemonic techniques, which will facilitate your study even more. There are so many types of mnemonics, which aim to boost your memory. Choose the most relevant ones, and practice it continuously. Or use as many tactics, as you can. Why not? Memory enhancement is always a good idea for a student, no matter what college he attends. These days, time management for a college student is significant as never before. Plan everything in advance both study and leisure activities. Identify the most important undertakings and organize your time respectively. Benefit from modern technology assistance, which might be helpful with an organization. For instance, use online note-taking devices, google calendars or any other relevant applications, which enable ideal planning perspectives. And, of course, make sure to commit only to things that truly matter in your life. Participate in classes, be an active member, ask questions. Nonetheless, don’t be involved in too many activities, projects, etc. Find a passion, and take part in those ventures that add real value to your life. All in all, invest your precious time thoughtfully. Set short-term and long-term goals. It will keep you motivated and more productive. There is no use in doing anything aimlessly, concentrate on one thing at a time. Can’t focus? Just get some exercise! Even a simple walk close to your house, or in the park nearby can clear up your mind and sort out many other difficulties. No need to highlight its favorable impact on your well-being and performance in college. Make sure you are hydrated since fluids, especially water, help students to study better. A drinking water habit improves mental processing and learning. The lack of water causes headaches, weakens your energy severely and immune system as well. Consequently, if you acknowledge that you are not drinking enough water now, change your habit immediately! Also, remember not only to drink but also to eat consistently. Portion control is important, avoid eating in the dead of night. Such a habit is detrimental to your health. A sleeping schedule must constitute a major priority for every college student. Build this habit from the very first day of your studies. Scientists say that nocturnal learning is not effective at all. Besides, students’ reasoning and memory may be negatively affected by the prolonged lack of sleep. So, keep in mind, it mustn’t be a norm in college. Stay energetic and well-rested! Consider positive attitude toward everything. Think of obstacles and adversity as beneficial factors, which help you to get better. Don’t forget to give yourself any reward after hard work. It motivates for more achievements, and what is even more important, it makes you happy. The list of bad habits can go on, but let us focus on good ones, at least for now. We hope above-mentioned habits of a successful college student will come in handy. The last and probably the most valuable advice for any student in this context is the following. Have balance in your life, don’t study 24/7, there is so much more you can do apart from a college. Remember, every single day brings a brand-new lesson. Try to employ only good habits in your everyday college life. And encourage your fellow students to do the same. Anyway, don’t be afraid to make mistakes on your path to success!